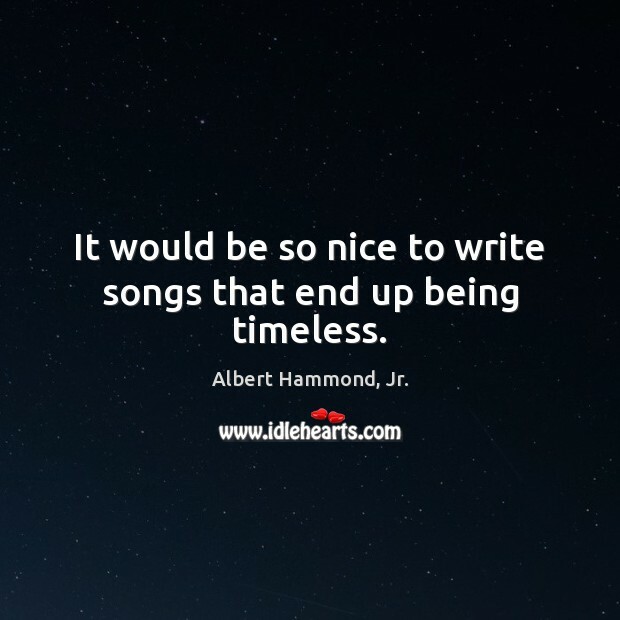 IdleHearts / Quotes by Albert Hammond, Jr. 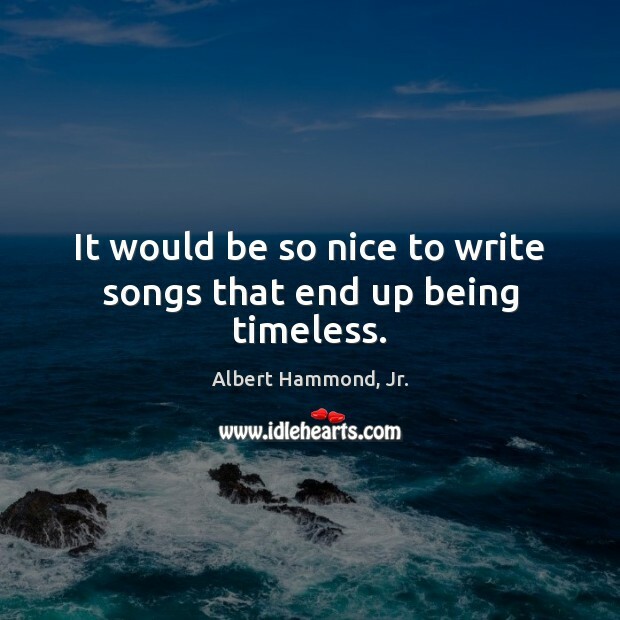 Enjoy the best inspirational, motivational, positive, funny and famous quotes by Albert Hammond, Jr.. Use words and picture quotations to push forward and inspire you keep going in life! When you put on music, just feel it; it's a different sense. 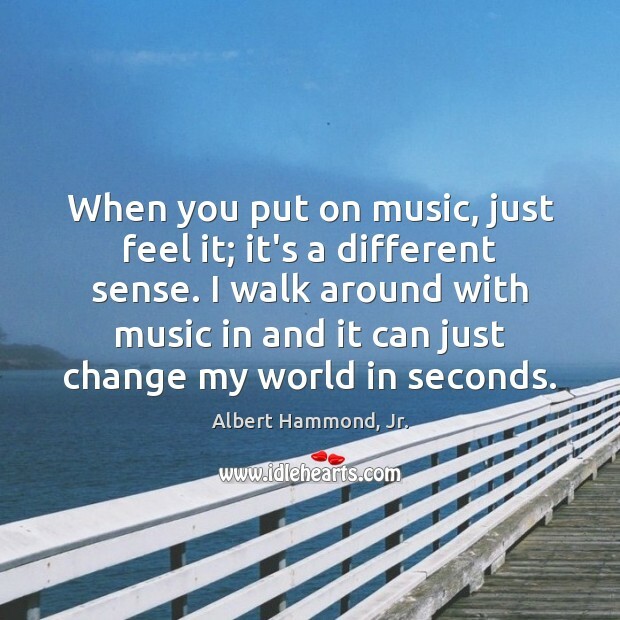 I walk around with music in and it can just change my world in seconds. I wouldn't not listen to something because it was country. 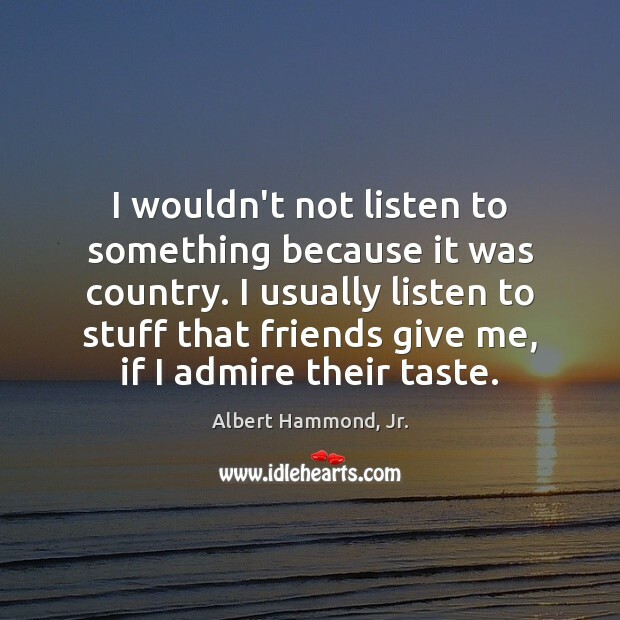 I usually listen to stuff that friends give me, if I admire their taste. It would be so nice to write songs that end up being timeless. 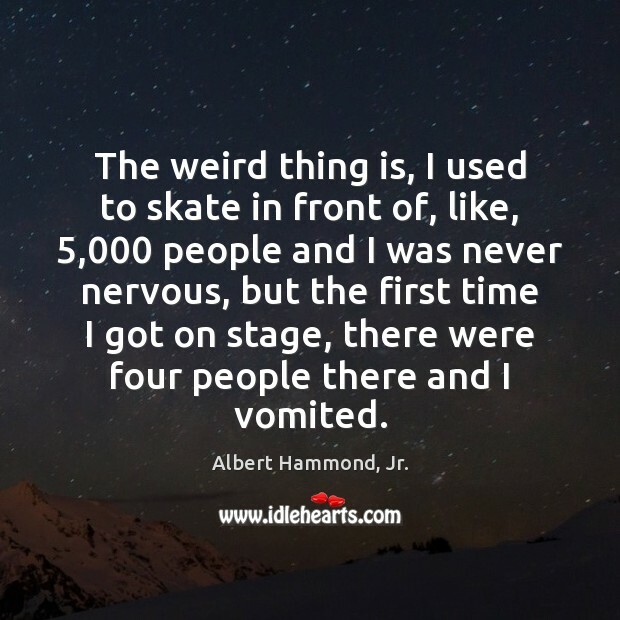 The weird thing is, I used to skate in front of, like, 5,000 people and I was never nervous, but the first time I got on stage, there were four people there and I vomited.